There are no words to describe the revulsion I feel when I think of the Jewish arsonists whose evil act murdered an 12-month old Palestinian toddler in the Village of Duma. The child’s parents and 4-year old brother are in critical condition. People who do things like this besmirch the name Jew and bring upon the Jewish state the stench of shame and disgrace. I hope that the Israeli police will soon apprehend the perpetrators of this horrible crime against everything for which Jewish values and the State of Israel stand. Once and for all, “May the cry of violence cease to be hear in the land (Isaiah 60:18)!” Make that ANY land ANYWHERE! You have profaned the Divine Image in which all of us are created. You have brought shame and disgrace upon our people. You did this ten years ago. You should have been in prison. Now I pray, the Israeli authorities will put you away for the rest of your life, so that you never have the chance to hurt anyone again. Your heinous act has made it difficult for us to celebrate this Shabbat as a time of peace and joy. But we will try because we are commanded to choose life and blessing instead of the curse (Deuteronomy 30:19) that you have brought upon our people and all people of good will! When I came to Columbia, Maryland in September of 1973 as a rabbinic intern at Temple Isaiah, the congregation had 58 families. We shared space in an interfaith Center—part of the New Town’s plan—with the Roman Catholic parish, several Protestant congregations and two other Jewish congregations. I shared an office with Rabbi Martin Siegel, rabbi of the unaffiliated Columbia Jewish Congregation. Rabbi Siegel had gained considerable notoriety in the early seventies with his publication of Amen, the Diary of a Suburban Rabbi. He was on the cover of New York Magazine and on many of the National TV shows. He had come to Columbia a few years before my arrival at the invitation of a group of the new city’s Jews to build the ideal congregation for the next America. It would not be like the “service station model” that he characterized his former congregation in Long Island and most other Reform congregations to be. By “service station” he meant a place where people paid their dues in order to receive services. They wanted to be sure they could get their kids “Bar or Bat Mitzvahed”, they wanted to be sure that a rabbi would be available to marry their children and to bury their parents when the time came, and to be available to meet their other pastoral and personal needs. In terms of involvement and commitment to the synagogue beyond paying dues—there is little of it in the “service station” congregation, and that was both the source of Siegel’s discontent and the motivation to write his book. Without a doubt there was something special about those early days at my congregation in Columbia. It seemed like nearly every one of the fifty-eight families was actively involved. Fueled by the fact that none of the residents had roots in a city formed only a few years before, a majority of members attended Friday night services seeking to meet other Jews and forge a community. Home baked Ongai Shabbat were the norm. Members were on the look out for newcomers. When new faces appeared at a service, old members descended on them with a warm, inviting welcome. But even the most “audacious hospitality” will not sustain Jewish congregational life if we fail as communities to nourish our Jewish roots. 4000 years ago God made a Covenant with Abraham. In that Covenant the Almighty promised to protect us, give us children, make us a permanent people and give us the land of Israel. In return Abraham and his descendants pledged to make our lives a blessing, follow God’s teachings, and use our talents to create a society based on “Mishpat” –justice—and “Tzedakah”—righteousness. When I first spoke at Congregation Beth Israel in 1997 when I was auditioning to be their Rabbi—I cited the passage in Deuteronomy (27:6) and in Exodus (20:22), right after the Ten Commandments in which God commanded the Children of Israel to build the Altar for the ancient tabernacle of unhewn stones. They had to use stones as they were, not shape them and mold them to fit into any preconceived design. Although they could not sculpt the stones to a certain size or shape, our forbears forged those unhewn stones into a strong and sturdy base from which to serve our God. Our ancestors were up to the challenge! Are we? Jewish community members come in all shapes, sizes, religious backgrounds, ethnicities and skin tones. We must find a way to welcome them all –just as they are– and help them find a warm and nurturing spiritual home in our congregations. As far as worship goes: we all want services to be inviting and alive. For me that means services that are more Torah centered and less entertainment centered. People today can find entertainment more exciting than anything a congregation can offer. 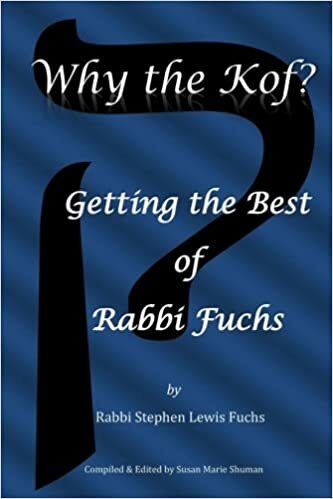 If we set our minds on making Torah reading and teaching dynamic and interesting, we will offer Jews and prospective Jews something they cannot find in other venues. There is no more important focus of Jewish life than deeds of of kindness and compassion. The realities out there of poverty illiteracy and violence are not diminishing. Our top priority must be to engage with the world in many different ways and make it a better place. Studies show that what is good for organized Jewish life is also good for individual well-being. Studies show that one of the major contributing factors in promoting good health and longevity is active involvement in a caring community. Investing time and energy in a religious community will not only strengthen those communities, your involvement will add meaning to your lives and –very possibly– length to your days. Such a goal in the words of the Torah “is not too hard for us nor is it beyond our reach. (Deuteronomy 30:11)” If it is in our minds and hearts to do it, synagogues (and other houses of worship for that matter) can become dynamic, dedicated and diverse communities concerned about each other and devoted to our Covenant with God. Then, in the words of the Prophet Isaiah (58:8) “Our light will blaze forth like the dawn,” and we shall merit God’s blessing both now and in the generations to come. Our tradition teaches that all unborn generations of our people stood with our ancestors at the foot of that mountain. There they heard God command us not to worship things that we can see and touch. How vital and how unheeded that lesson remains! So many of us make money and fame our gods. We measure our success by our salaries and press clippings. We worship the athletes and entertainers who make mega millions. We covet the lifestyles of CEOs who make in an hour what minimum wage earners take home in a year! This is the idolatry the Torah condemns. In our worship of material things we ignore the immense debt we to the Almighty. Before God intervened, we were lost in a world of oppression and meaningless drudgery. We worked unceasingly to build store cities and pyramids to the glory of the Egyptian pharaoh-god. Day after day we endured the same mind-numbing routine. But God went to war with pharaoh to get us out of there! In so doing the Eternal One gave us the possibility of a life of purpose and meaning. Redeemed from service to Pharaoh, we pledged to serve God by working to replace the hatred and violence in this world with Tzedakah, Mishpat, and chesed, righteousness, justice and lovingkindness. When I think of the debt we owe God for redeeming us from Egypt, I think of a small child, who somehow wandered out into the street. The mother looks up to see a truck speeding toward her little one, and she realizes with horror that she cannot save the child herself. At the very last second a person runs into the street, swoops up her child and rolls to the other side, just in time to avoid the truck. Clearly, there is nothing the mother can do to adequately repay the one who saved her child. That is the debt we owe the Eternal One for pulling us – just in time – out of “the iron blast furnace” of Egypt! (DT 4:20) We can never fully recompense the Eternal One for bringing us from Egypt to Sinai, but we should try unceasingly to do so. At Sinai we renewed with our invisible, untouchable and in many ways unfathomable God the Covenant that God first made with Abraham and Sarah. Wir alle haben Träume, die unerfüllt bleiben. Ganz egal, wer wir sind, es gibt immer etwas, das wir gerne getan hätten, aber nicht getan haben. Funktioniert Gott wirklich so? Ich weiß es nicht sicher; niemand weiß das. Aber ich glaube, das ein einziger, guter und fürsorglicher Gott will, dass wir Verantwortung übernehmen im Kampf gegen Ungerechtigkeit, Hunger, Obdachlosigkeit, Gewalt, Krankheit und Vernachlässigung der Umwelt, die unsere Welt plagen. Bin ich mir darüber sicher? Nein, bin ich nicht. da ein ein Gott ist, der das von uns will, wir eine viel bessere Welt hätten. Mose, der “Diener des EwigEinen” (Deuteronoium 34,5) ist das herausragendste Beispiel eines Menschen, der nach den Wünschen Gottes lebt. Trotz der Bitten des Mose nahm Gott ihn aus dem Spiel, bevor er dazu bereit war. Wir sollen, wie Mose, “tun, was wir können, solange wir können,” um die Welt zu verbessern. Aber wir sollten uns immer bewusst sein, dass Gott zu jeder Zeit entscheiden kann, “uns aus dem Spiel zu nehmen”. 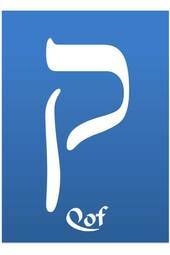 ואתחנן”…And he (Moses) pleaded (Deuteronomy 3:23). The word appears only once in the Bible and refers to Moses final plea — (after already having been told, “No!) that God allow him to enter the Promised Land. This time God answers sharply and tells Moses effectively, The answer remains “No!” And don’t bring this up again! We all have dreams that will remain unfulfilled. No matter who we are there will always be something we wish we could have done that we did not! Is that REALLY the way God works? I do not know for sure. None of us does. I believe that a single, good and caring God wants to take responsibility to combat the injustice, hunger, homelessness, violence, disease and environmental neglect that plague our world. Am I sure of this? No, I am not. But I do know that if we act כאלו “as if” there is a God who wants us to do these things, we would have a much better world than we have now. Blame the Media for the Violence Choking Our Society? For Sure! Now it’s a theater in Louisiana! Fewer and fewer days pass between headlines reporting another wanton act of violence. The fuel for these incidents is no mystery. Frequent and graphic depictions of violence in movies, television shows and video games increases seemingly by the day. For years now in op Ed essays, sermons, talks in schools and appearances on TV news shows I have railed against this trend. As I pursue this campaign I feel like the solitary man of Jewish legend who visited the biblical cities of Sodom and Gomorrah each day to urge the people to repent and change their wicked ways. “Why do you bother?” a friend asked him. Don’t you know those people will never change and become like you? On the Ninth of Av, the Hebrew calendar date associated with numerous tragedies in history, we must now add to the list of those calamities we remember, the shootings at Hartford’s West Indian Day parade in 2008. Why can we only expect the violence to increase? Statistics show that the average 11-year old has witnessed 8,000 TV murders. The acts of violence in movies and video games are mind numbingly gruesome. As study after study shows they desensitize kids to the impact of violence, and kids imitate what they see in the media. I am an example, and I do not write this with pride. I thought that was so cool that I tried it myself on the cop who stood on the corner near my elementary school. Fortunately my exploit did not end tragically. Today the violence available on TV is 100 times more graphic than when I was nine, and there are hundreds more TV stations for kids to watch. Throw in the movies and video games, and the events that grab—and will continue to grab—such horrific national and local headlines should not surprise us. In video games the kid becomes not just the consumer of violence but also the perpetrator of it. In these games there are no moral consequences for these actions. Indeed the ability to commit unspeakable acts of violence is one of the most important skills necessary to succeed in so many of these games. Of course parents should be the first and strongest line of defense. But society has a stake in this problem too. The media will not become interested until it is in their economic interest to do so. They need to hear us demand that they tone down the violence or we will turn of our sets and not buy their games. Otherwise, as one producer told me, asking media outlets to eliminate violence from their programming is the same as asking Exxon not to sell gasoline. We should also hold advertisers responsible for programs they sponsor. We must let them know that we shall choose not to buy products that advertise shows with graphically violent content. I do not ask for censorship, but I do ask for self-discipline both by the consumers and producers of violence. There can be little doubt that a serious reduction of media mayhem will result in a serious reduction of violent crime in our streets. For the sake of our children and grandchildren it is time that we the people take media violence seriously and demand that parents, politicians and the perpetrators of media violence all address this vital issue. “Das sind die Worte”, beginnt das Buch Deuteronomium. Die “Worte” rekapitulieren die Bewährungsproben, Leiden und Triumphe der Kinder Israels in der Wüste. Es sind Abschiedsreden des Mose an sein Volk bevor er die Herrschaft abgibt. Wenn wir das Buch durchlesen, finden wir in Details Abweichungen zu vorherigen Beschreibungen der Ereignisse. Zum Beispiel, findet in Exodus 18 Jethro Moses an Rande des Burnout vor. Jethro sagt ihm, dass er Verantwortung delegieren und weitere Führungsebenen im Volk etablieren muss. Er sagt praktisch: “Lass andere die kleinen Probleme lösen, kümmere du dich nur um die wirklich großen Probleme.” Jethro’s Initiative bewahrte die Kinder Israels vor dem Zusammenbruch unter der drückenden Leitungsaufgabe, das Volk Israel durch die Wüste zu führen. Aber im Deuteronomium, wird Jethro gar nicht erwähnt. Es ist allein die Idee des Mose. Ich weiß, dass Menschen Geschichte oft verschieden wahrnehmen. Seit mehr als elf Jahren bin ich im Schlagabtausch mit einem prominenten palestinensischen Verteidiger, sowohl in in persönlichen Begegnungen wie im Internet. Unsere Sichtweisen der Geschichte sind sehr verschieden. Nach elf Jahren und hunderten von E-mails reden wir immer noch aneinander vorbei. Wir sind genau da, wo wir angefangen haben: zwei intelligente Menschen, die von Übereinstimmung so weit entfernt sind, wie am ersten Tag. Vielleicht wäre es besser, wir würden weniger debattieren, sondern unsere unterschiedlichen geschichtlichen Sichtweisen anerkennen. Ich will es versuchen. Geschichte hat oft viele Versionen. Wir erhöhen die Chancen eine gerechtere, fürsorglichere und mitfühlende Welt zu schaffen, wenn wir gewillt sind mit Einfühlung auf die Geschichte zu hören, die nicht unsere ist. ”“These are the words,” begins the Book of Deuteronomy. The “words” recap the trials, tribulations and triumphs of the Children of Israel in the wilderness. It is a set of farewell speeches by Moses to his people before he relinquishes the reigns of leadership. As we read through the book we see discrepancies in details of previously described events. Jethro’s initiative saved Moses and the Children of Israel from collapsing under the administrative burdens of leading a large people through the wilderness. But in Deuteronomy, Jethro gets no credit. The idea is Moses’ alone. I know that people often see history differently. For more than eleven years I have been jousting both in person and online with a prominent Palestinian advocate. Our views of history are very different, Eleven years and hundreds of emails later we are still talking past each other. We are exactly where we started: two intelligent people no closer to agreement than on the day we met. Perhaps it would be better if we debated less and affirmed each other’s historical view more. I will try. History often has many versions. We improve our chances of creating a more just, caring and compassionate world if we are willing to listen with empathy to those not our own.